Its time for another review on Gamewarrior.net. Today we will review an awesome new game that is getting more and more popular around the globe. 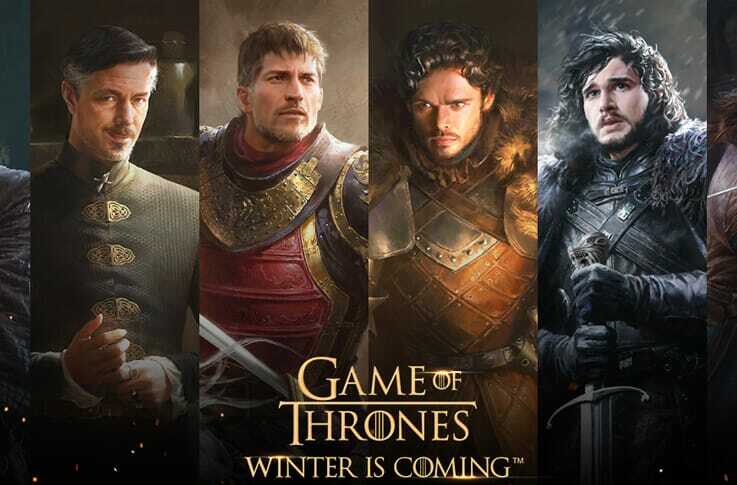 Game of Thrones Winter is Coming is a brilliant game based on the popular series by George RR Martin. Playable on a browser and set in the exciting Westeros, players slip into the role of the lord of Westeros with the goal of bringing peace and prosperity in this volatile world full of intense infighting. You can do anything from putting together a powerful army to creating a vast kingdom. Players can also take on the role of characters like Tyrion Lannister. Other things you can do as you play this game include training your army and customizing your castle. You can also make teams with friends in exciting player vs player battles. The role-playing element of this game, blended with a traditional strategy gaming style, make it quite an exciting game for many people. While playing this game, you can explore this unique universe, and interact with various characters from the show. You can even have famous characters from the show itself join your army, and then get in the middle of all the bloody squabbles that tears this kingdom apart in order to bring some peace. But it’s not all about stopping wars and fortifying castles with this game, you can also enjoy some of the key moments of the show such as the Red Wedding and visiting Castle Black. The game was released by Tencent Holdings, and it can be played on smartphones, and it was created by Yoozoo and Tencent Games. Within a short span of time, the game had already been played hundreds of millions of times on Tencent’s video platform. This is in no small part due to the popularity that the Game of Thrones Winter is Coming series enjoys around the world. Even today, the show remains to be HBO’s most popular series. This game seeks to offer players the realism they enjoy from the actual show, and the popularity it currently enjoys clearly proves that this is working. In fact, the game maker, Yoozoo, got into a partnership with HBO and Warner Bros while making this game. Clearly, the intention was to live up to the standards set by the popular television show in order to meet the desires of the show’s fans who would like to give the game a try. The game does not go to the very beginning of the story, but rather starts once Lord Eddard Stark is dead. The Game of Thrones Winter is Coming is not the only game based on the series. It competes against Game of Thrones: Conquest, and only time will tell how well it will do against this rival.